Today’s post is really a wrap up of last week! Between all the baseball and soccer practices/games plus my busy season at work, I’ve fallen behind on blogging again. #sigh However, this week I’m catching up and have some of my FAVORITE posts! I’m sharing my Amazon Lately post where you can see what we’ve been priming to our house (I love getting ideas reading what other’s order!) as well as a Book Review post. EEKS! Book Reviews are my very favorite posts! So be sure to come back this week! We started out our week THE BEST way! Alyssa came for a visit! She had an orthodontic appointment Monday morning so she came in late Sunday night and left Tuesday. It was a quick visit but we are always grateful to see our girl! Carson and Cutter were so excited to see her when they got home from school. Her brothers miss her a ton! Carson worked all week on a project for his Science class. He had to make a 3-D model of a plant cell. He did such a great job! He made each part out of clay and then painted them. Once dry, he glued in place inside a cardboard box he had shaped to look like a plant cell. He was so excited about the way it turned out! Something HUGE happened at the ballpark this week! This is BIG, friends! For those of you who don’t know, Cutter was batting in a game two years ago and when he hit the ball, the bat came back at him and hit him in the mouth breaking four permanent teeth. Bless his heart. Cutter has been scared to death to hit since then. Last year, he wouldn’t stay in the batter’s box. Jumped out as soon as a pitch was thrown. But this year, he has been staying in and finally started swinging! On Friday night, he got a TRIPLE! (He’s a SUPER fast runner! Ha!) We were so excited for him!! Seeing him overcome a fear is a win this week! Mark and I started running again together now that Spring is here with pretty weather. I snapped this pic of our running buddies this week. Ha! They look super thrilled to see us! I’ll take the cows any day over snakes! I hope you guys have a great Monday! See you back here tomorrow for Tuesday Talk! Hope you had the BEST weekend! We had a very slow lazy weekend which was exactly what we needed! 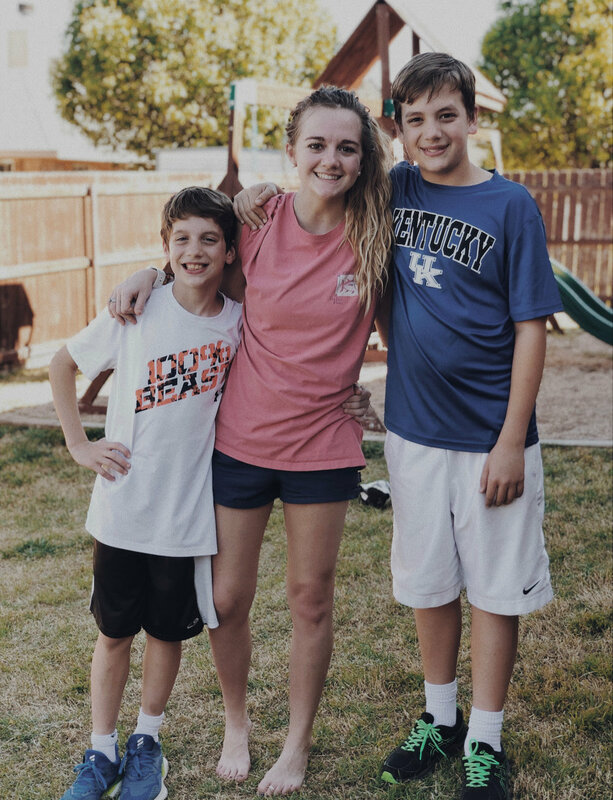 We finished up basketball season with all three boys last week so we enjoyed a sport free weekend before more chaos begins. Soccer and baseball season start this week so it was short lived but absolutely wonderful! We had the perfect Saturday. I spent the morning snuggled on the couch reading. While Cutter and Mark played Monopoly! Cutter’s favorite game - except that Daddy won! 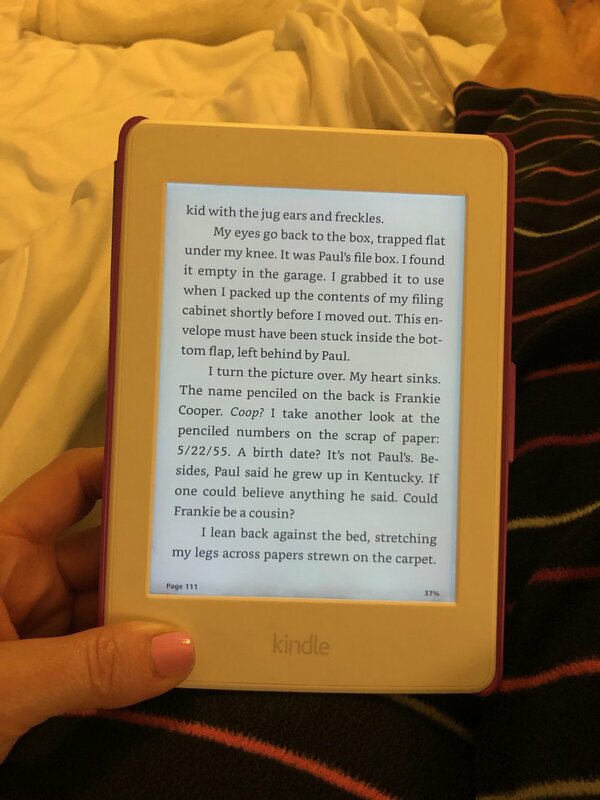 I also snuck in reading a few more chapters of It’s Not Supposed To Be This Way by Lysa Terkeurst. That night, we grabbed some dinner and took it over to Mark’s parents so we could eat and visit with them. His sweet mom had shoulder surgery and is still recovering. That means Grandad is on extra duties around the house so we thought taking care of dinner might be one less thing for him. After church Sunday morning (no pic because I forgot! ), Cutter and I played a game of Trouble. He won! Meanwhile, Mark took Carson to baseball tryouts. Due to weather earlier in the week, they had to reschedule his tryouts to Sunday afternoon. Remember, I said baseball season is here! First practices are tonight! I made myself a latte and tackled some work on the computer. Worked on this blog post as well as worked on some real estate contracts that came in that afternoon. I am very blessed to do something I love! We played another board game with the little Cs. This time they chose Beat the Parents. In this game, the kids ask the parents questions and the parents ask the kids questions. Each time you answer correctly, you move your game piece forward one space. The team that reaches the other side of the board first, wins. Every time we play there is a memory made of a question. Alyssa and Conner, if you’re reading, remember Denmarkans?! Ha! As I’m typing this, I realize there wasn’t much to share from our weekend. It really was slow and laid back. But it’s also just the kind of weekends I want to remember! Linking up with the Hello Monday girls! Happy Monday, friends! This weekend was a great one! Today our kids are out of school and Mark is off work so we are enjoying one more day at home. I’m not sad about it! On Friday, Mark and I realized we had nothing on our calendar so we took advantage and had a date night! Dinner AND a movie! That hasn’t happened in a long time! Date nights make me happy! Saturday morning was a gloriously slow morning! Coffee, bible study, and a little reading on my Kindle. 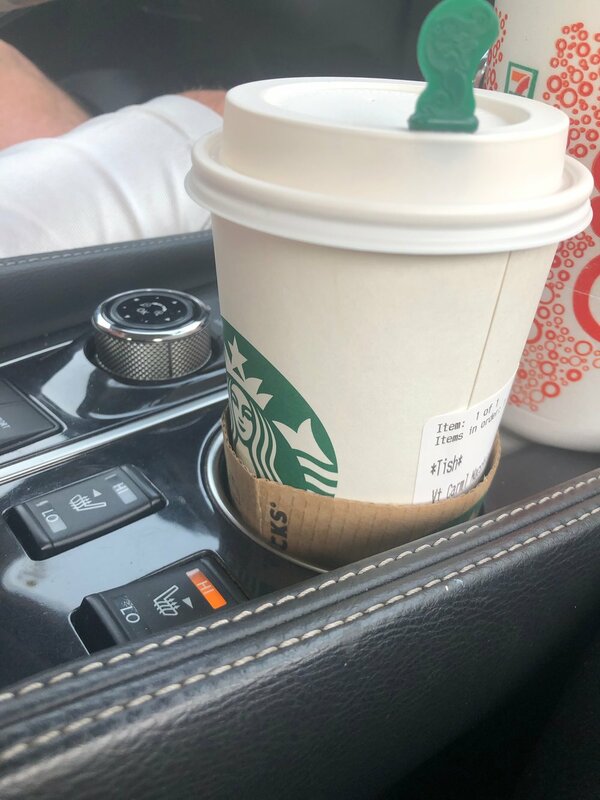 Mark ran a few errands while Carson and Cutter played and Conner went to basketball practice. I also did a little work in my office and enjoyed these gorgeous roses from my Valentine this week. Saturday was beautiful weather! Mark and the boys spent the afternoon washing and cleaning our cars and practicing some baseball. Mark and I also got in a short run. It felt so good to be outside in the sunshine! Especially before the wintry mix and freezing temps coming today! Around 4:00pm, Conner came home and got cleaned up for…. 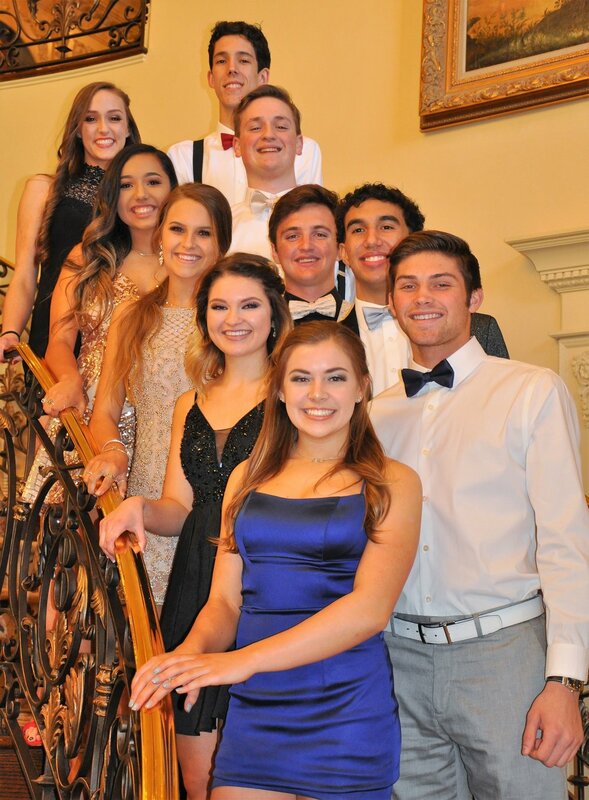 We met up with him and a group of his friends to get some pictures before the dance. That’s Conner second from the top! 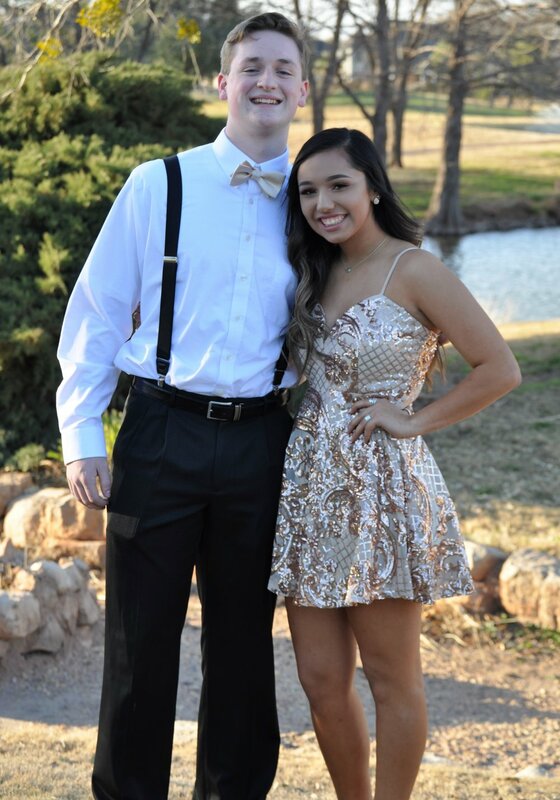 His sweet date, Myka, looked beautiful! We left from taking pictures and headed to church. Cutter has been working on his RA Racer car for the past several weeks on Wednesday nights during RAs (Royal Ambassadors). On Saturday, we needed to register his car before the races on Sunday. He was so excited about how his car turned out! *Note - a long time friend of mine, Cristi, is the Children’s Minister and she is the one who MCs the RA Racing event. Cutter thought it would be hysterical to name his car after her and make her announce her own name! Ha! He tried so hard to keep it a secret from her for weeks! We registered his car, did a quick test run, and he was ready for Sunday! 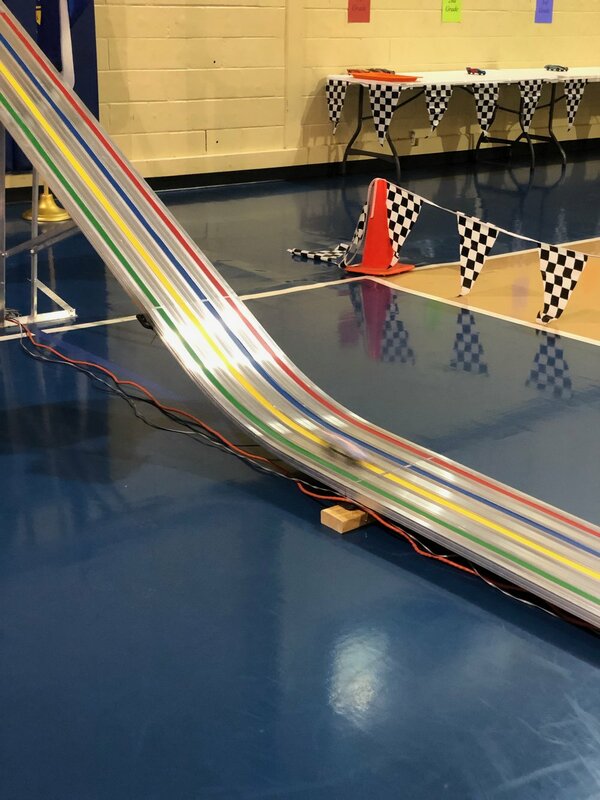 We grabbed a quick lunch after church Sunday morning and headed back to the church gym to watch the RA Races! They race 1st grade - 5th grade. Between the races, Cristi would interact with the kids and ask them different questions. Cutter’s car wasn’t the fastest this year but he did win for “Most Creative Best Design”. Cutter with the actual Cristi Stanton! He pulled off his surprise and Cutter was one EXCITED kiddo! We have a pretty low key day today just catching up on things around the house. However, tonight I have a fundraising event for work to attend and then the five of us will head to a team dinner for Conner and his teammates before Tuesday night’s playoff basketball game. It’s gonna be a fun week! Linking up with the Hello Monday girls today! This is SO me today! I mean, I have ALL THE THINGS on my To Do list for today, but coffee will be a BIG part of my Monday! 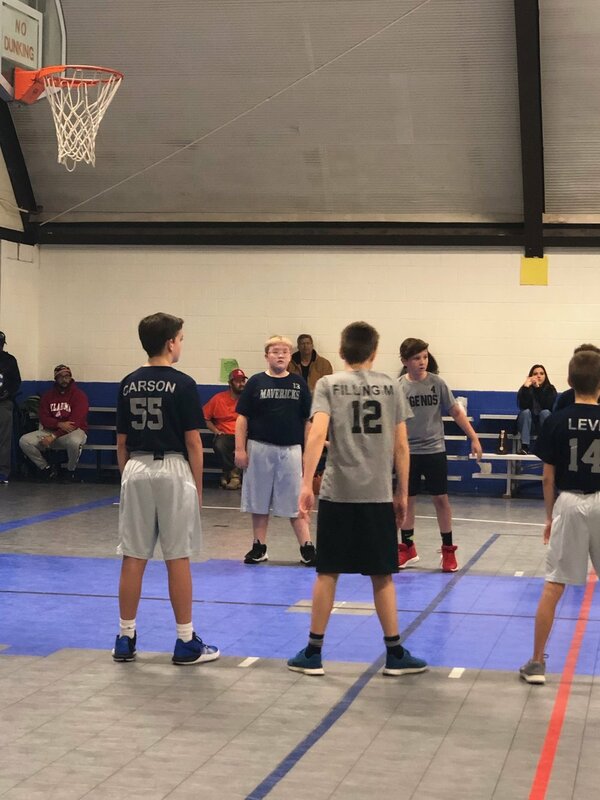 We started our weekend in Aledo Friday night to watch Conner play basketball. Aledo is about a 2 hour drive from Abilene, We loaded up Carson and Cutter after school and headed that way IN THE RAIN. Friends, I-20 is NOT fun to drive in pouring down rain trying to pass around those 18 wheeler trucks. We passed three wrecks and were so grateful to finally arrive! Conner’s varsity game was scheduled for 7:30pm. However, one of the school buses broke down on the way and therefore the games were running behind. Conner’s game didn’t start until 9:00pm! They lost a heartbreaker by 2 but played hard and we are SO incredibly proud of our #44! 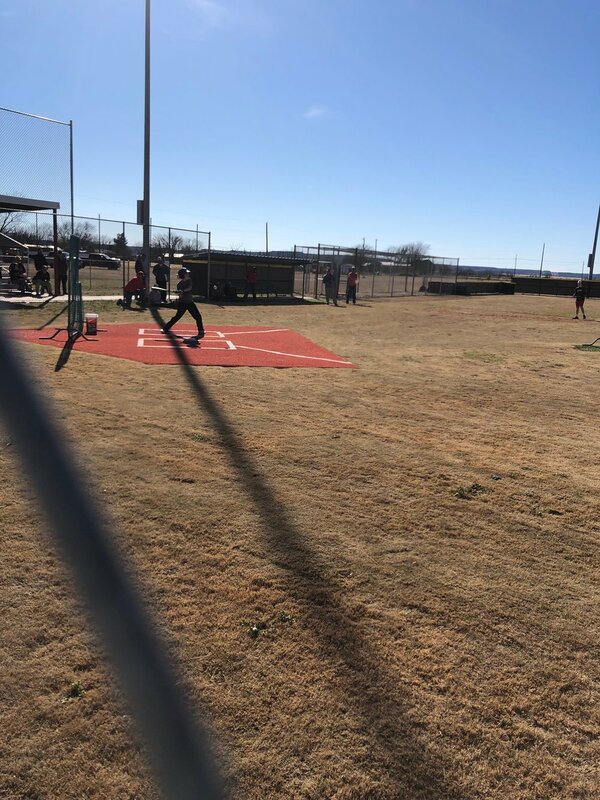 In the past 8 weeks, we have traveled to Arlington, Amarillo, San Angelo, Midland, Wichita Falls, Lubbock, Aledo, Frenship, and back to Aledo to start district this past week. Friends, we are so happy that this Friday we play AT HOME! If you are local, come cheer us on Friday night at 7:30pm! Carson had a basketball game bright and early Saturday morning. This is Carson standing next to his friend, Revis. These two have known each other since they were babies. So fun to play with (or against) friends! Poor Carson had strep last week and didn’t feel well for several days. He was exhausted after our late night (although he did sleep on the way home) and ended up playing 3 out of the 4 quarters of the game. Carson was a WARRIOR. Look at him chasing down that rebound! So proud of this kid! He even took an elbow to the nose but was TOUGH! And they got the WIN! So he was super excited! At 3:00pm, we headed to Cutter’s game. One of Cutter’s best friends, Thomas, is on his team this year and they couldn’t be more excited to play together! Their other sweet friend, Colton, played in the game before us and he stayed to cheer on his friends. These boys have been best little friends since Kindergarten! Cutter plays point guard and has been working on his ball handling skills this year. He absolutely LOVES basketball just like his older brothers and sister! Hope you guys had THE BEST weekend! I’m gonna grab my cup of coffee (or coffee IV!) and tackle my Monday!